I am a lover of wisdom, truth and beauty. My goal in this lifetime is to transform my experiences of adversity into golden treasures of empowerment that hopefully serve others. I love to write and am not afraid of my lack of skill at it. I am a lover. I am a dedicated student of the school that is life. I am a yogini, a reluctant healer, a teacher, a guide, an occasional goddess and most of all a friend. I am the byproduct of self love. I am empowered. I love to feel and see inner power and mindful awareness reflected in others. I am an empath. I feel through life and refuse to shut off my preceptors to the world. I am free of dogma. I am committed to enjoying my life and sharing in experience with others. I am spiritual. I am grounded. I love the earth. I believe that the whole is healed from within (and beyond). I believe that we are all one. I believe that I am you and you are me. I am here to live life intuitively. 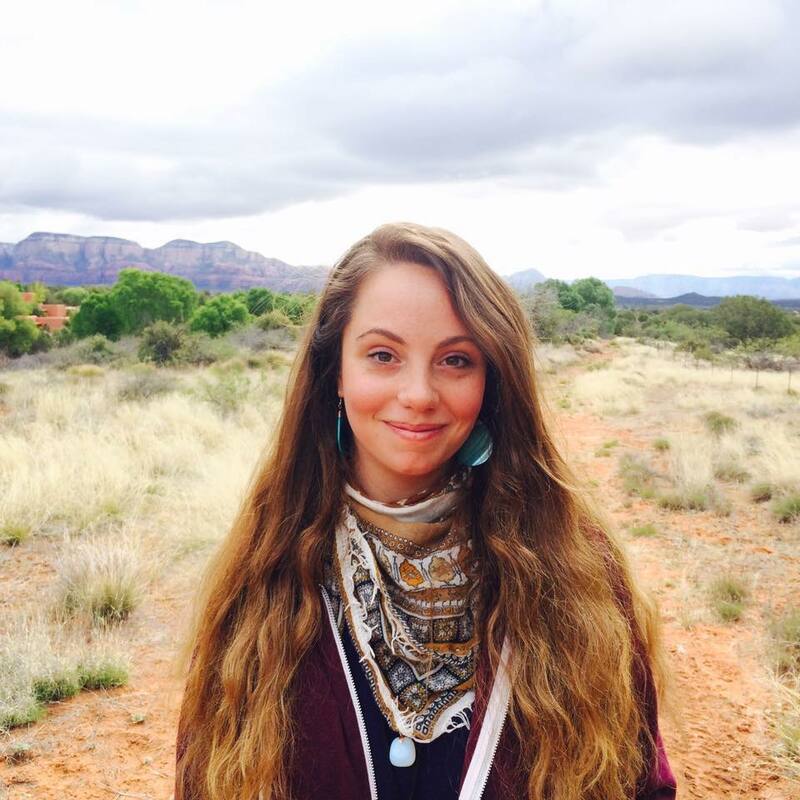 Nicole Lynne Hooley is a Reiki Master/Teacher and the founder of Glowing Heart Reiki School. In undergrad Nicole began her search for truth and the nature of reality as a student of Philosophy & Religion at Stockton University in Southern New Jersey. In 2006, while still in college she became a student of yoga and has been professionally teaching Vinyasa & Restorative Yoga since 2011. Nicole studied Yoga, Women's Moon Practices, Ayurveda and Meditation for 2.5 years under the tutelage of Summer Quashie and Leigh Evans. She is now a Yoga Alliance 500HR E-RYT, 85HR RPYT as well as a Continuing Education Provider. From December 2013-Fall of 2017 Nicole participated in various Reiki Trainings with Summer Quashie(1-2, Master), Lisa Levine(2), Lisa Powers(1-3, Master) & Michal Spiegelman(Master). She had the honor in participating in Tiffany Carole's year long Master Healer Program, which she completed in January of 2016. 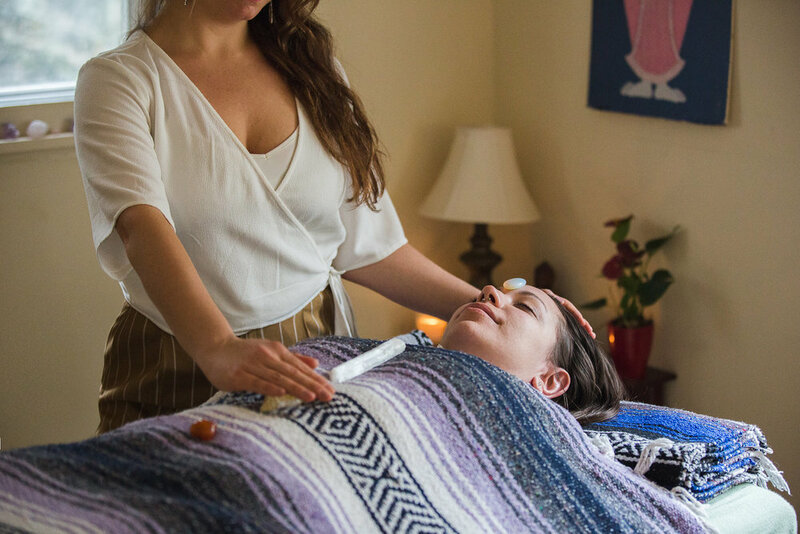 In June of 2016 Nicole taught her first Reiki Level 1 class and found herself changed forever! Within a year she had a small school of students and dedicated practitioners who were enthusiastic to continue to explore the subtle, yet incredibly powerful practice. In the spring of 2017, after returning from a trip to India and years of attempts, Nicole started a Women's Healing & Arts Collective called Root Mamma, where she aimed to cultivate an abundant & empowered co-creative community while embracing all that has traditionally been considered "feminine". Her 2017 trip to India inspired her to take a year off from teaching in yoga studios to focus on her own processing, healing and practice. In the fall of 2018 Nicole is returning to teaching yoga with an empowered understanding of how she is to go about bringing her light and truth into the world. She is thrilled to share from the heart and dedicated to honoring & caring for herself in the process. Nicole currently acts as the Community Director of Devi Collective in Greenpoint, Brooklyn. She also teaches weekly yoga classes at Daya Yoga Studio in Bushwick, Chalk Gyms in Williamsburg & Lucent Yoga in Greenpoint. Cole's offerings come from her connection to source and her personal journey toward wholistic healing and self empowerment. She takes from her Reiki practice, a lifelong astrological education, her background in philosophy & religion, over half a decade of teaching yoga asana, a foundational understanding Ayurvedic Food Science and Chinese medicine, as well as her intuitive wisdom. Her goal is to create a sense of self-reliance in all of her clients. She wants to awaken the natural healing & empowerment process in as many people as she is blessed to work with. She believes in being guided by a personal awareness of subtle energy and does not follow any particular dogma or creed other than that which has organically risen from direct life experience. She believes that this process allows for one to live from a place of personal awareness and accountability, without harboring unnecessary shame and guilt. Nicole's intention as a healing guide is to assist in releasing ancestral wounding and lifetime conditioning. Her goal is that through this subtle work, she and those who work with her can live their best lives and pass their blessings forward to those they love, the world and future generations.